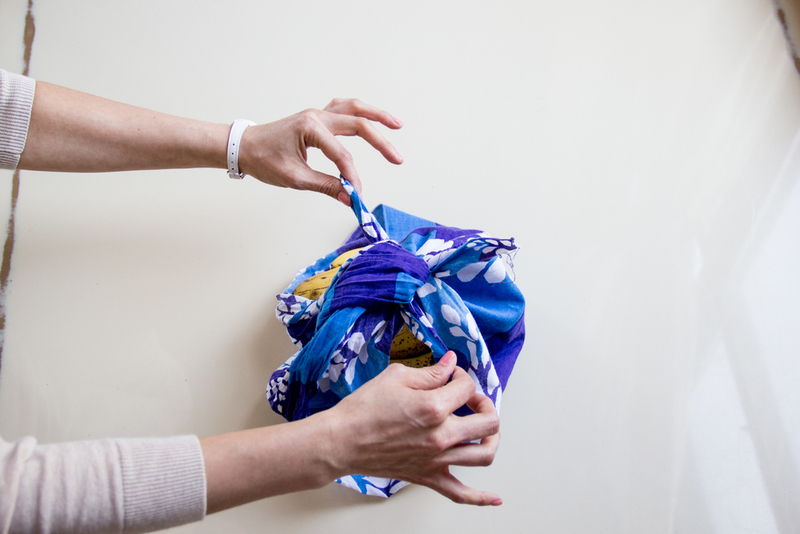 Furoshiki (meaning “bath spread”) is a Japanese tradition of knotting fabric and using it to wrap items. 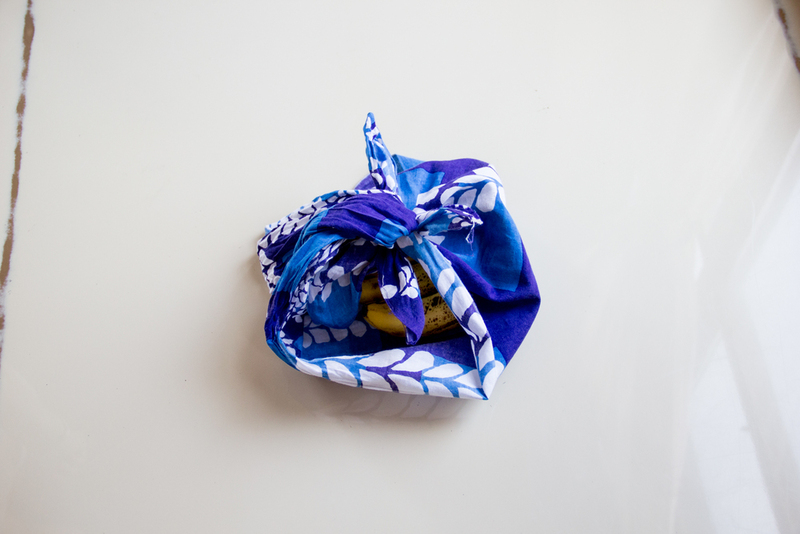 Originally used to bundle clothes while at the public bath, modern furoshiki works well as an environmentally friendly alternative to plastic bags, a fun gift wrap, or an impromptu farmers’ market tote. You can use any rectangular or square cloth, but for our demo we're using the lightweight Tenugui towel by Sousou. 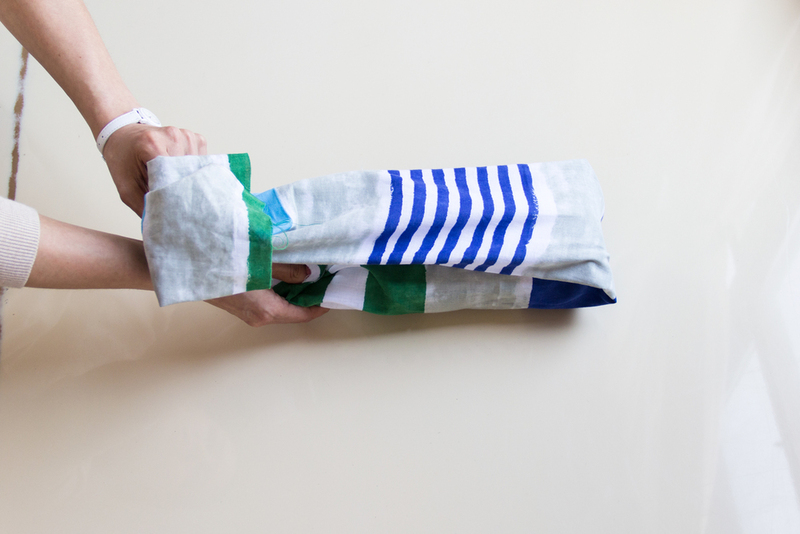 If you'd prefer a pre-made bag, try the Sousou Furoshiki bag. 1) Lay your cloth out flat. 2) Put your object in the center of the cloth. 3) Take two opposite corners of the cloth and knot them in the center. 4) Take the other two opposite corners and knot them just above the first knot. Your satchel is complete! Try this knot out as a lunch box. 1) Place object at far right of cloth, with bottle cap facing the edge. 2) Fold one long edge over the bottle, then do the same on the opposite side. 3) Take the far left corner and fold over. This forms the bottom of your wrap. 4) Stand object up and tie with string.